At Mt. Harrison Audiology, our experienced team understands the importance of hearing and communication as a child grows and integrates into the world around them. Exceptional hearing health care is the foundation for developing strong personal and social relationships, and not only affects the child but also their entire family. We are proud to be the only pediatric audiologist in Rupert, ID, who services children of all ages, from newborn babies through the teenage years. If your child has been diagnosed with hearing loss, received a referral notice on his or her hearing screening at school, or if you have concerns that your child isn’t performing optimally at home or in school, it is critical to have their hearing evaluated. We offer advanced hearing tests for your child, including auditory brainstem response equipment, along with otoacoustic emissions, and visual reinforcement audiometry available. For young children, we use play audiometry to encourage accurate results. We also utilize calibrated word testing and educational inventories to get a full picture of how potential hearing loss is affecting the child. Schedule Your Child’s Complimentary Consultation with Our Pediatric Audiologist in Rupert, ID! To learn more about our process, schedule your child’s FREE Mt. Harrison Audiology Communication Consultation today by calling our friendly office at 208.312.0957 or CLICKING HERE today! During your child’s initial appointment, we will learn about their exposure to noise, medical history, other health factors, and family history. With this understanding, we will be better able to determine the appropriate evaluation and testing methods to use in order to develop their personalized treatment plan. 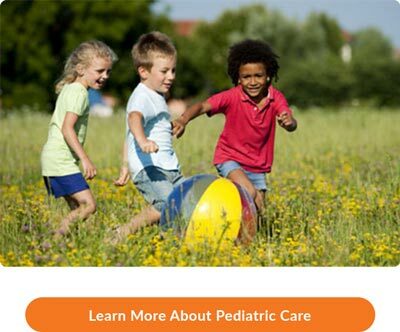 We will also work closely with all family members, their school community, pediatrician, and all others involved in your child’s care to help them better understand the treatment process and how to best help your child. Call today – we look forward to welcoming your child to the Mt. Harrison Audiology family!